Many of MAT’s seasoned Logisticians and IT experts served in the military for many years before beginning their private sector careers with us. They now contribute their unique functional logistics subject matter expertise in such areas as supply chain planning, transportation, asset management, budget support, cost analyses, security and information assurance and more. Backed further by effective communications and change management strategies, MAT’s logistics IT programs have consistently met policy milestones and regulatory requirements while effectively managing the complexity of large-scale systems implementations. MAT’s unique combination of DOD business process knowledge, cultural and contextual understanding of the military services and technical IT expertise puts our clients’ enterprise programs on track from day one. With a rich history and background in supply chain, transportation, distribution and third-party logistics (3PL) (in which an organization procures logistics services from external companies) MAT has deep subject matter expertise and a pedigree second to none. MAT understands the dynamics of 3PL in a DOD environment specifically for the transportation of military equipment and freight in deployed environments. Implementing a 3PL raises a range of issues that MAT can help address. We redesign supply chains using complex models of 3PL scenarios, build rock-solid business cases to show cost savings and other benefits, and provide strategic sourcing and acquisition support. Advanced tracking technologies offer governments a way to reduce operating costs and manage assets more efficiently. For sensitive cargos that present a security risk, tracking technologies are essential. MAT can help its clients stay abreast of options and emerging technologies such as next-generation wireless, Unique Identification (UID), Radio Frequency Identification (RFID) and bar codes. From implementing new systems and technologies, to extending the life of mission critical legacy systems, MAT helps its clients explore new strategies and technologies that will give them a better grasp of their supply chain, increased asset visibility, efficiency, and reliability. MAT provides in-depth research and analytical support to clients looking to transform their supply chains and distribution networks. For example, MAT has developed numerous logistics business cases and examined process reengineering options for asset visibility improvements across the U.S. Army’s many logistics business areas. MAT often works in the project management offices (PMO) of our clients and alongside senior leaders themselves, helping to develop execution strategies and sustainment plans, concepts of operation (CONOPS) and performance work statements. MAT’s Logistics Information Technology (Log IT) services include implementation support for a wide-range of logistics applications such as: Warehouse Management Systems (WMS), Transportation Management Systems (TMS), Distributed Order Management Systems (DOM), Order Management Systems (OMS), Enterprise Asset Management Systems (EAM), Supply Chain Planning Systems (SCP) and Radio Frequency Identification (RFID). Joint Total Asset Visibility (JTAV). Benchmarking. Radio Frequency Identification (RFID). Supply Chain Operational Reference (SCOR) models. Metrics. Distribution Process Owner (DPO). Requisition Wait Time (RWT). Daunting terminology and acronyms? All are associated with logistics, distribution and supply chain management– key processes that support military logistics. At MAT, military logistics and providing Comprehensive Logistics Support (CLS) is our specialty. CLS refers to military non-IT Logistics Support and includes Supply Chain Management & Administration, Warehouse Management & Operations, Transportation & Fleet Management, Ground, Air & Ocean Freight Operations and Field Service Support & Sustainment. MAT provides CLS services in garrison or in a deployed military setting. MAT calls on over 30 years of global experience in providing CLS and is an expert in expanding into deployed environments with confidence and a fully integrated logistics support. Our CLS services can be customized to meet DOD or service-specific requirements and provide a collaborative and integrated approach to meet the logistics needs of the warfighter. 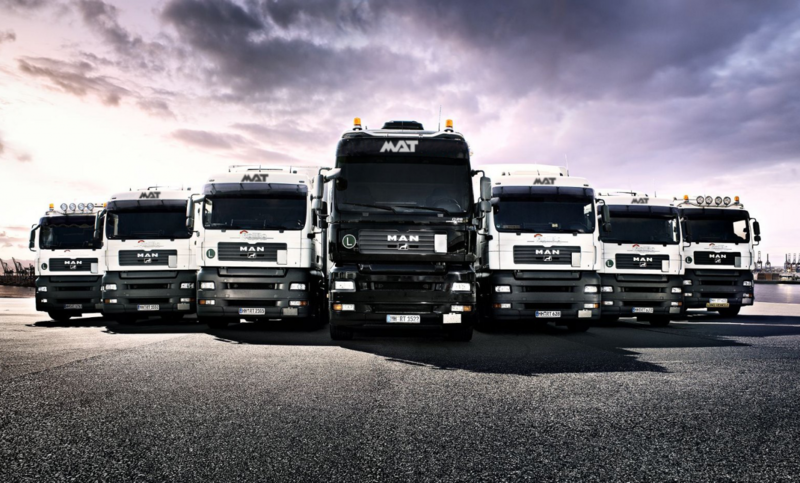 MAT’s unique combination of many years of experience developing and streamlining commercial best-practices and the next generation of sense and respond logistics rival the best examples of effective logistics today. For over 15 years, McLane Advanced Technologies (MAT) has been an industry leader in supply chain and logistics professional education, innovation and leadership. Today, MAT offers an extensive, global curriculum in multifunctional logistics to meet the needs of our military professionals—specifically, the logistics disciplines of supply chain, lean operations, maintenance management and transportation.